Blue Lagoon hot springs spa complex near Reykjavik, Iceland. 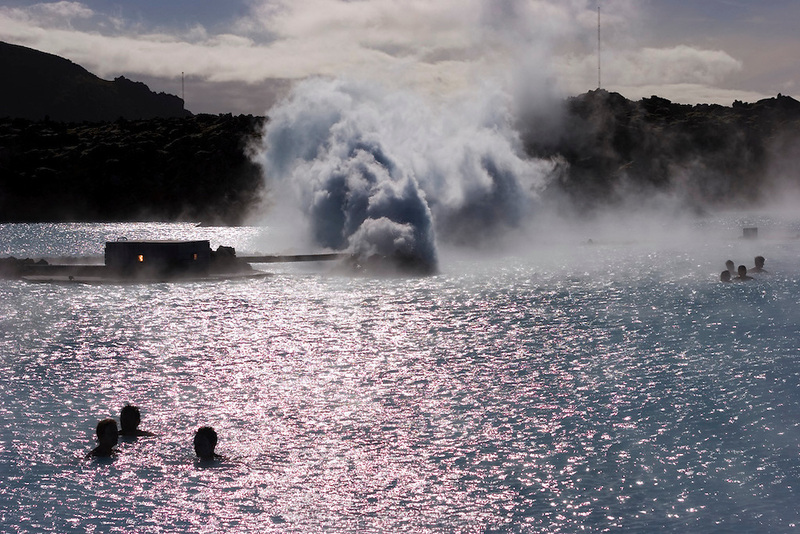 The hot water is the byproduct of Svartsengi power plant, a geothermal electrical generating plant. Pumping 470 F (243 C) water from up to 1-1/4 miles beneath the earth, the plant generates electricity - and a somewhat cooler runoff that is rich in the kind of silicates and salts loved by devotees of mineral baths. Bathing is permitted only in the 2.5-acre (1 ha.) patch of the lake in which the water temperature is tolerable..